Freedom Forum marked the National Democracy Day by organizing a Dialogue relating the Democracy Day to the Right to freedom of expression and opinion in Kathmandu on 17 February 2017. 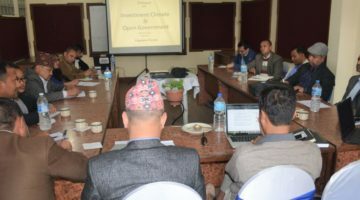 The program was attended by total 30 participants from various sectors: legal authorities (Advocate, Attorney Office), representatives from Federation of Nepali Journalists (FNJ), Nepal Press Council, academia, media experts, academicians, journalists and researchers. Every year, Falgun 7, 2007 BS (Feb 17 this year) is marked as the historic day as it is the turning point of Nepal’s history. The day (Falgun 7) not only reminds the fall of autocratic Rana regime, but also the day that ushered in with civil liberties in Nepal. Keynote speaker at the program, senior journalist Harihar Birahi, spoke on multifarious issues of human rights in different phases of the country since 2007. He said democracy brought forth tremendous opportunities for the young generation with right to freedom of expression and others. According to him, the party-less system after 1960 however saw harrowing days for media merely for their role to make people aware of their rights. Although the atmosphere for freedom of expression and opinion was too hostile in those days, there are still the challenges for people’s easy and comfortable practice of FoE and opinion. Participating in the discussion, INSEC Chairman Subodh Pyakurel, speaking about competence and professionalism in media, said the journalists need to revise whether their academic course is knowledge based or technical. Noted human rights activist Charan Parsai stated that self-censorship was widely seen in today’s newspaper. Editor at the Samcharpatra daily, Kapil Kafle, said good content in media could bring tremendous change in society. Every news and information that media gets should be verified and the can be printed and examined. Shreeram Poudel, a Mass Communications teacher at Tribhuvan University underscored the importance of independent media and its content. Only logical and effective contents in media could recognize the strength of media, he added. Media lawyer Tanka Aryal said that although there are 1,000 media in Nepal, there were very few media voicing for citizen’s independence. Media content needs to be reviewed and to sustain media outlets needs to be effective. Advocate Bishnu Pokhrel, senior journalist Hasta Gurug, university teacher Dr Sudhamshu Dahal, General Secretary at FF, Dharmedra Jha, and Executive Chief at FF, Taranath Dahal, expressed their views on importance of the National Democracy Day relating to freedom of expression and opinion. The program was facilitated by FF Chairman Hari Binod Adhikari. 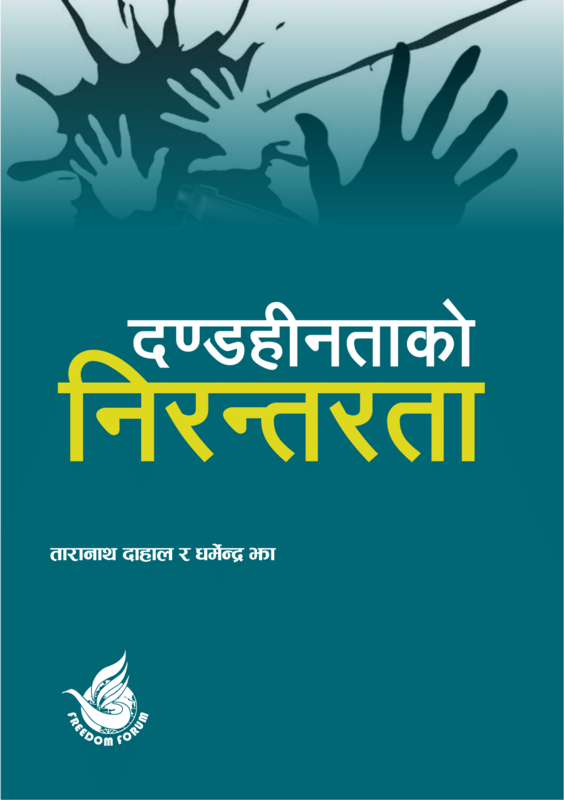 This version of newsletter encloses FF's intervention on various issues such as province wise incidents of FOE violations, Open Government Partnership, empowering WMGs at local levels, Media-related bill review, RTI, Open data and Gender in Nepali media.